Here is my the beginning of the current chapter of my Weight loss journal. The Fresh Start is from the Rhonna Designs Ap. The Quote to the right was from a Facebook Post. I trimmed it and used a Stampin’ Up! Project Life card with washi tape and a retired embellishment. I just love how it turned out! If you are interested in documenting your own weight loss journey. Check out the comments section of this post on the Kat Z Creates Facebook page to learn more about a supportive group called “Scrapping off the weight”. 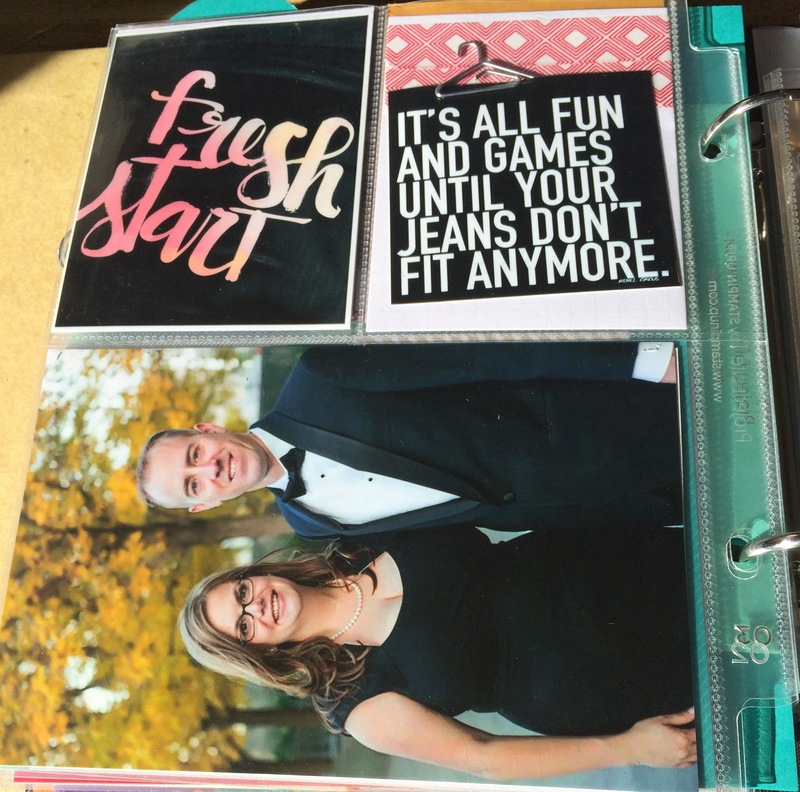 This entry was posted in Life, Project Life and tagged Project Life, weight loss on February 7, 2015 by katzcreates.